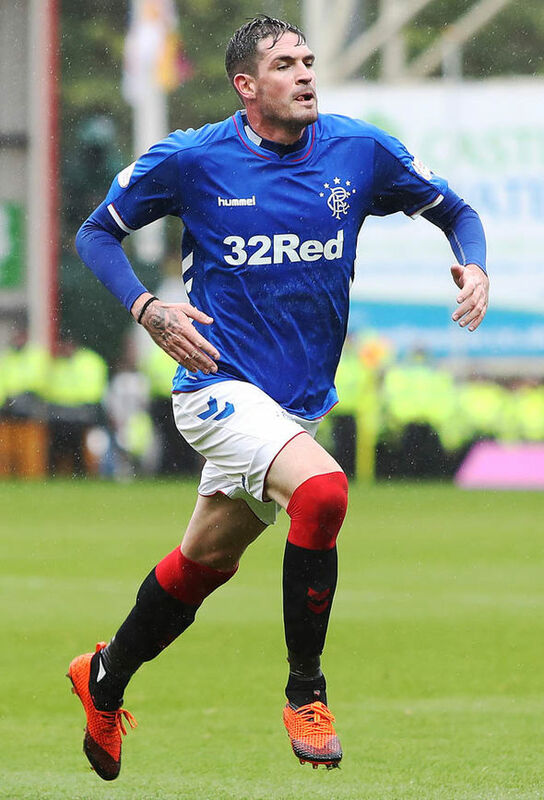 Rangers manager Steven Gerrard has dropped some significant hints about the future of striker Kyle Lafferty, after letting slip that the NI forward speaks to him ‘a lot’ and all players in this squad ‘have had chances’ to prove themselves. The former Hearts man came back to Ibrox amidst much fanfare and a £750K price tag last summer, but after a modestly promising start, he faded dramatically and has barely been involved in the past six months. Gerrard conceded the lanky forward was effectively an issue, and that his omission from the Celtic squad was selection-based and nothing else. Without being explicit, reading between the lines with the barbed tongue Stevie is clearly speaking through here Lafferty just hasn’t impressed either on or off the pitch under this manager, and if Gerrard could be shot of him this summer it’s probably the boss’s preference. Lafferty is notorious for high maintenance, as well as a few alleged off-field indiscretions not to mention his well-documented issues with the disease of gambling, and unless a player like that is able to compensate his baggage with goals and assists and performances on the pitch when called upon, no amount of ‘talking’ behind the scenes is going to endear him to the management. We rated Lafferty very highly, and in his defence he’s suffered the complete immunity of Alfredo Morelos (as Jermain Defoe has, of course) and his guaranteed selection if available, but we admit when he has come in he’s not delivered impressive cameos either – for example, McCrorie, in from the cold, while not remarkable on Sunday still produced something pretty reasonable. Lafferty has failed to do even half of that given the chance and has of course only scored 2 goals in 8 appearances this calendar year, compared with Jermain Defoe managing 5 in 13 plus 4 assists despite his similarly patchy appearances and brief cameos. We wanted the big man to work out, we really did, but it’s not been good enough. If he's not involved tonight from the start it probably is the end. I was surprised he was ent in squad on Sunday, I think he offers a different dimension upfront but Stevie must not be happy with him in training, I personally would like Lafferty and defoe to start together up front tonight to see if they can gel together between now and end of the season. I’d just like to see Defoe start the next 4 - he’s getting on a bit but he is class. I can't help thinking that if Lafferty played every week like Morelos he would've scored 20+ goals.